Why are Your Air Conditioning Pipes Frozen? Once they’ve installed a Fujitsu air conditioning system, Perth residents can enjoy the benefits of improved indoor comfort. However, like any piece of complex equipment, an air conditioning system can develop issues that need to be addressed. One of the most common problems encountered by HVAC specialists is frozen pipes in the AC system. What causes this, is it a serious problem and how can it be fixed? Even a brand new air conditioner could have problems that need to be corrected. Obviously, in this case, it would be the responsibility of the installer to correct the problem. The system will still be well within warranty so there should be no problem with a replacement if the problem cannot be fixed. In most cases this will not be necessary, the new AC system may just need some minor adjustments to start working as intended. When you first use your system you should expect the temperature to reach your ideal within five hours. This is dependent upon the external temperature and the ambient internal temperature levels when you started your new AC system. Problems often arise from simple things, such as pipes displaced during building work, a component damaged in transit or a section of pipe damaged during installation. These issues are easy to detect and simple to fix to get your system up and running. Other problems may need further attention to fix, but one of the most common problems encountered on new and existing AC systems is frozen pipes. A common fault reported by new AC system owners is that their system is blowing warm or barely cool air instead of cold air. This is a clear indication that there is a problem and you may want to do some investigation. After the unit has been running for at least an hour, take off the compressor cover and take a look at the pipes. If the pipes are frozen or covered in ice, there is a gas or pressure leak somewhere in your pipes or ducts. This is a hard problem for a layman to fix so call your installer and ask for some assistance. This may take a while in a new installation, but with the correct equipment, a technician will be able to locate the problem. If a leak cannot be found the compressor will need to be tested for a fault and may need to be replaced. If you’re in the market for a new Fujitsu air conditioning system, contact us here at Gas&Air. We install, repair, service and supply a wide selection of high quality heating and cooling equipment. 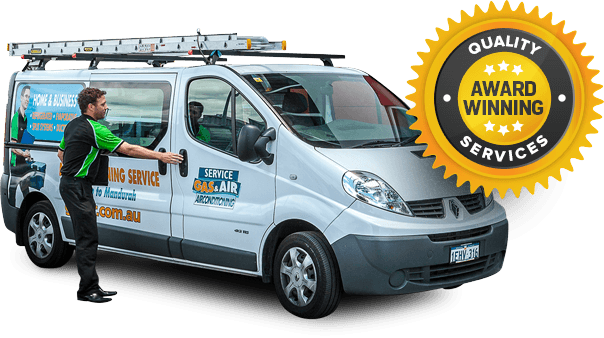 All of our technicians are well trained, and we pride ourselves on the quality of our work. We offer easy finance terms for qualifying customers to get your home comfortable quickly. Our team is standing by to discuss your indoor comfort needs and to answer any further questions that you may have.